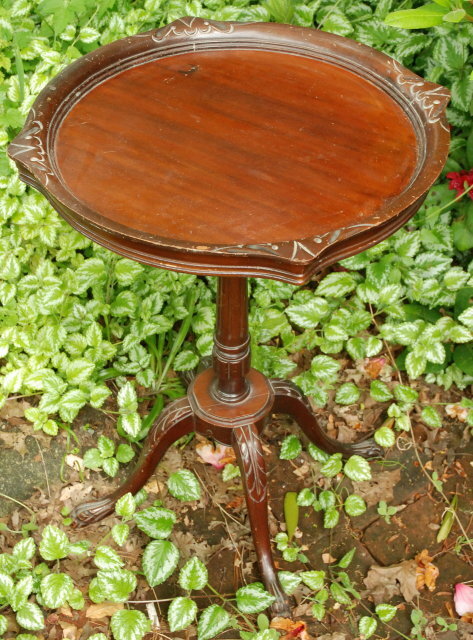 Antique Claw Foot Pie Crust Top Tea Table. There is a lovely carved flower motif pie crust border edge. 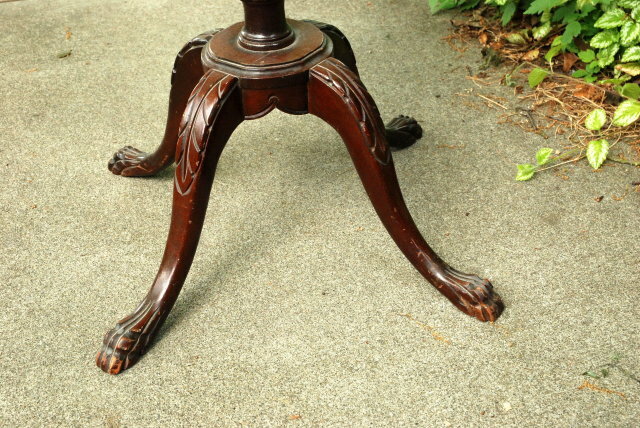 The pedestal is ornately carved as well as the claw feet. 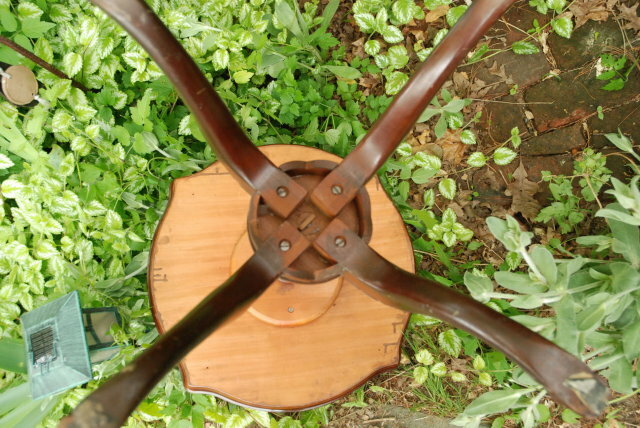 It is 28" high and the top is 20" across. It is very stable. The is some dust in the crevices and wear to the finish and few scratches and dings there and there. It would not take much to restore it. It is very solid. 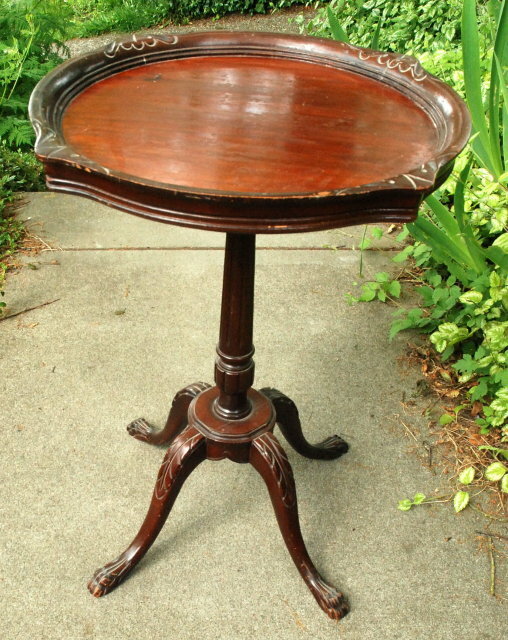 Items Similar To "Antique Claw Foot Pie Crust Top Tea Table *** PRICE REDUCED!**..."